Our esteemed customers are hereby informed that portable chargers purported to be manufactured by "Sony" are being sold in the market. 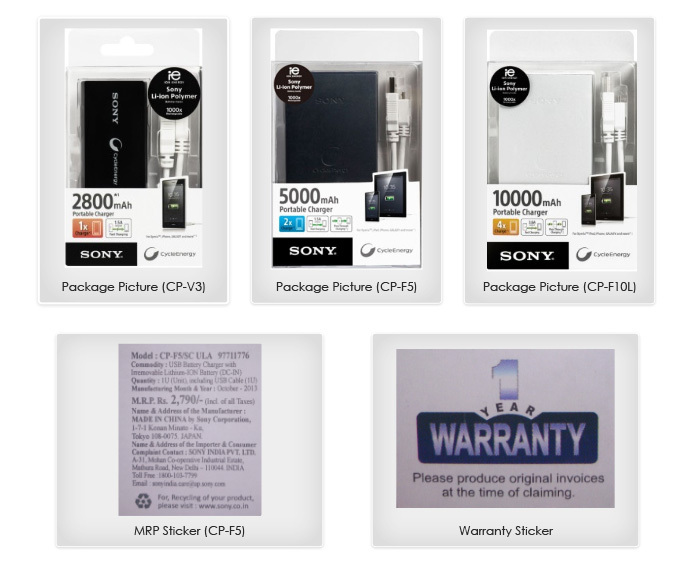 Such purported portable charger packages do not carry any and/or original hologram/MRP sticker/Warranty sticker; whereas the original "Sony" manufactured charger packages invariably carry a hologram/MRP sticker and Warranty sticker. Sony India shall not be liable for any loss or damage caused pursuant to the purchase of such counterfeit portable chargers.